Sit in the shade this summer with the Zoola Parasol! The sun is shining brightly, but you're scared of getting sun burned. Do you also have this problem? Then worry no more! The ZOOLA Parasol is here to protect you from the sun's harmful rays. 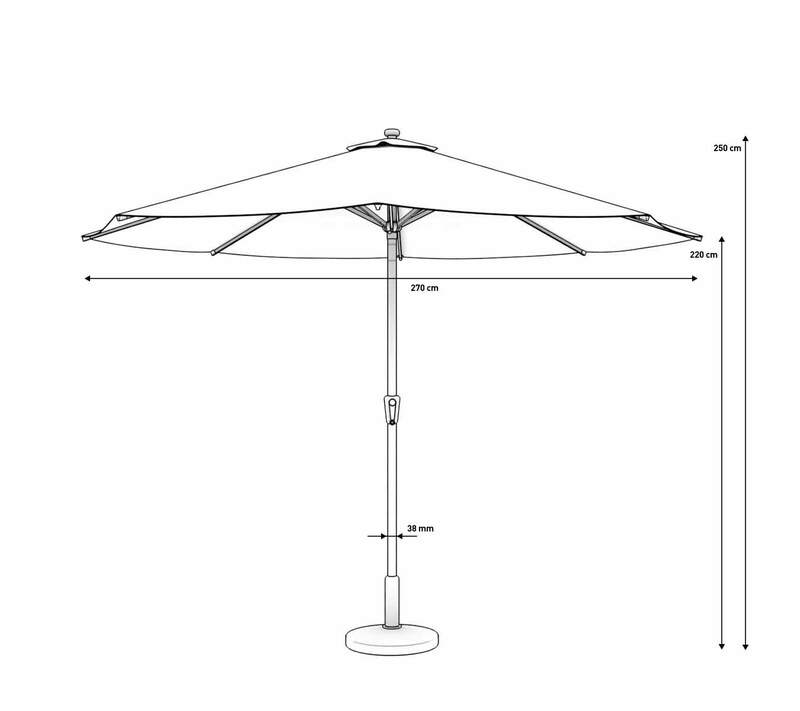 The frame of the parasol is made from powder-coated aluminium. The base is filled with concrete to ensure stability and the parasol is opened and closed with a lever. Enjoy dining alfresco this summer with a little help from ZOOLA!